The Box Office is located on the premises. Hours of operation are Sundays from 10am-4pm and all show nights. On show nights, the Box Office opens 30 minutes prior to door time for the event (or 90 minutes prior to show time). To purchase advance tickets for The Warfield and The Regency Ballroom without service charge please visit The Warfield Box Office during any hours of operation. 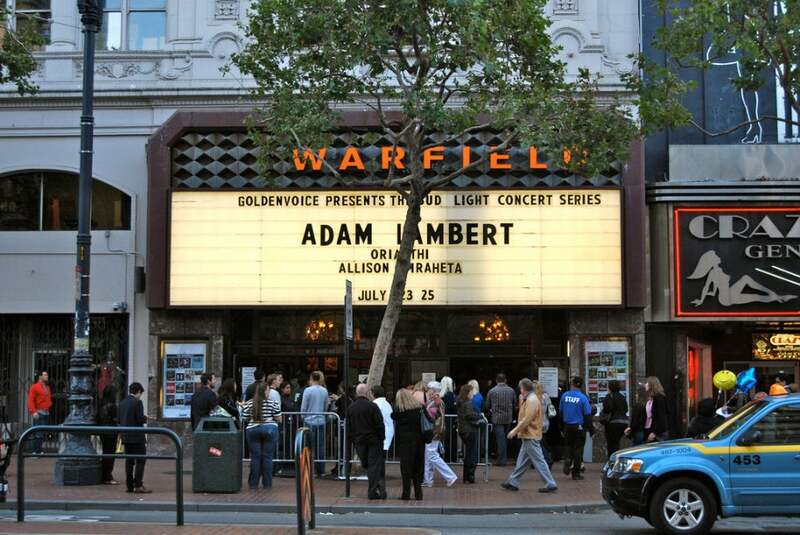 A box office fee of $2.00 will be applied to each ticket sold at The Warfield Box Office during any hours of operation. The Warfield is unable to verify or guarantee the authenticity of tickets which were not purchased directly through an authorized sales channel (i.e. : Warfield box office, AXS.com). For this reason, and because we are unable to provide any information regarding ticket purchases to a party other than the cardholder on the order, we do not recommend purchasing tickets from third-party resellers. CASH, VISA, MC, and AMEX are accepted for ticket sales and food/drinks. Children of all ages are welcome at The Warfield with a paid ticket unless specifically noted. No babes in arms.